For years, University of Florida scientists looked for a few characteristics in a more desirable strawberry. Among those traits was a higher yield in November and December — the early part of the Florida season when prices are highest. They also sought better fruit for the consumer. That meant a longer shelf life, better flavor, improved shape and other traits, said Vance Whitaker, an associate professor of horticultural sciences at the University of Florida Institute of Food and Agricultural Sciences (UF/IFAS). After a lot hard work, and through traditional breeding methods, UF/IFAS researchers came up with Florida Brilliance. Adam Young, who runs a farm in Dover, Florida, said he’s using Florida Brilliance on about 45 acres, which represents about 25 percent of his land. Thus far, he’s happy with the results. Todd Jameson of Berry Bay Farms in nearby Wimauma, Florida, said rain does little damage to Florida Brilliance strawberries. Whitaker and his research team developed Florida Brilliance through conventional cross-pollination, in which scientists choose two strawberry varieties as parents. Researchers chose the parent strawberries for their different but complementary characteristics. 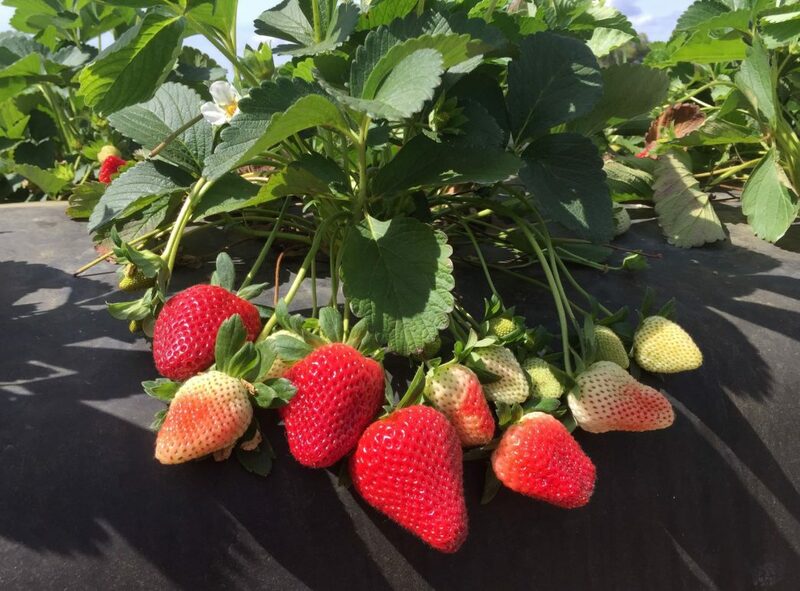 Farmers are growing Florida Brilliance on about 1,500 acres in Hillsborough County, according to the Florida Strawberry Growers Association. That’s about 15 percent of the overall strawberry acreage in Florida. The previous record acreage for the first year of a new UF/IFAS strawberry variety was 500 acres for Florida Beauty, and that was in 2017, said Whitaker, a faculty member at the UF/IFAS Gulf Coast Research and Education Center in Balm, Florida. For growers, Florida Brilliance resists many diseases, and that cuts production costs, Whitaker said. It is also very easy to harvest because it has long stems and an open plant canopy that allows the pickers to see the fruit easily. Labor is the largest cost in strawberry farming, so this is important, Whitaker said.